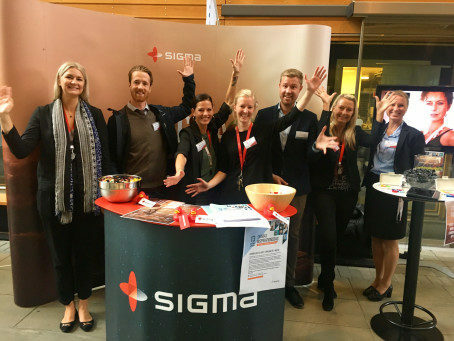 CHARM is one of the biggest job fairs in the west of Sweden that unites thousands of students from Chalmers University of Technology and some of the leading companies in the region. During two days, students get a chance to meet different organizations, get inspired and learn about their future career opportunities. The fair participants can also listen to some of the opinion leaders when it comes to career development. Meet us at SB-building (booth 49). Växjölöftet is a job fair driven by the public sector (Växjö municipality, Public Employment Service, Linnaeus University, and County Administrative Board), Växjö inhabitants, and employers. During this year’s fair, you will get a chance to apply for over 2,000 jobs in different industries. See you on February 8! LARM is a job fair organized by the Union of Technology and Science Students at Linköping University. Each year some 9,000 students come to LARM-days to meet over one hundred employers in different industries. Come by Sigma booth and talk to us about your career plans. GÖSTA is a job fair with the focus on IT that is organized by the IT department student union, cooperation between Chalmers University of Technology and the University of Gothenburg. Arbetsmarknadsdagen, AMD, is an annual job fair organized by Högskolan in Halmstad. The fair gathers several thousand students and over 60 employers operating in the region. Apart from the exhibition, students will also have a chance to listen to some of the inspirational lectures during the day. See you at Arbetsmarknadsdagen. Blekinge Arbetsmarknadsdagen (BAM) is a career event organized by Blekinge Institute of Technology that gathers students and companies interested in such areas as software development, healthcare, IT security, game development, mechanical engineering, and others. If you are looking for a new challenge, meet us at BAM! Would you like to stay in touch with us even before the job fair or have you missed to come by? Join our friend network, and we will let you know about interesting opportunities in your city. Stay tuned for more updates regarding our news and events on Facebook and LinkedIn. We are looking forward to meeting you in your city!